Victim Support Scotland is looking to appoint a new Chair of the Board of Trustees. 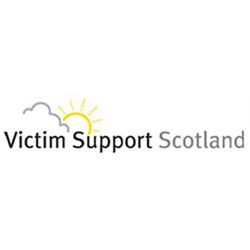 Victim Support Scotland is the lead charity in Scotland helping people affected by crime. It provides support, practical help and essential information to victims, witnesses and others affected by crime. The service is free, confidential and is provided by trained volunteers through a network of community- based victim services and court-based witness services. The Chair is required to ensure the Board of Trustees functions properly, that everyone can contribute fully to meetings,that all agenda items are properly discussed and decisions made. The role is key. The Chair is expected to provide leadership but should not dominate. The role has no particular powers over fellow Trustees. The Chair is expected to know the rules for the conduct of meetings as set down in the governing articles. The role extends significantly beyond chairing meetings. It includes acting as a figurehead for the organisation, which may include representing the organisation externally, speaking publicly on its behalf and attending public functions. The Chair should ensure the Board is made up of an appropriate mix of skills and experience. A key function is that of acting as line manager to the Chief Executive, including working with the CE on personal development. The Chair should also be prepared to act as a ‘sounding board’ for the CE and to offer political advice. The relationship between Chair and Chief Executive is highly important for the organisation. At times the Chair may also need to assist with the management of the organisation such as budget authorisation and participating in recruitment exercises. You must have experience of working in a senior role with the ability to think strategically, as well as having an understanding of financial management and business planning. You will some knowledge and experience of governance and be capable of building and maintaining professional relationships at all levels. You will be experienced in leading and motivating teams and possess strong and effective interpersonal skills. Board roles are unremunerated, although reasonable expenses will be paid. A commitment of typically three days in total per month is required, although this may vary depending on business need. This includes meetings, preparation and discussion. This position is subject to a Basic Disclosure check. If you are interested in finding out more, please email volunteers@victimsupportsco.org.uk to request an application pack or alternatively contact Iona Grant, HR Administrator on 0131 662 5411 to find out more about what the role involves. The South West Edinburgh Recovery Service provides recovery focused psychosocial interventions to service users experiencing drug and alcohol related issues. We work within a hub model with partners who include NHS Lothian, CEC Social Work and other voluntary agencies to ensure individualised packages of care to enable service users to achieve their recovery goals. An exciting opportunity has arisen to join our team, leading the high-quality delivery of recovery focused intervention to service users in South West Edinburgh. 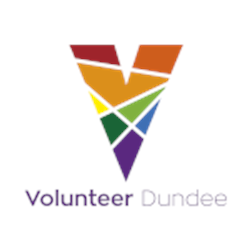 The service will be delivered from our main base at Westerhailes Healthy Living Centre and on an outreach basis in a variety of venues across the locality. Support is provided in a one to one and groupwork setting. 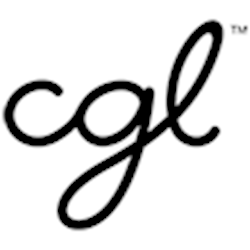 CGL are looking to recruit a professional, talented, enthusiastic, determined and resourceful Team Leader to support our service delivery in South West Edinburgh. The successful candidate will have a sound knowledge of substance misuse strategy at both at a local and national level and must have a track record of achieving results, proven leadership skills, excellent staff management experience and the enthusiasm to make a real difference to CGL’s commitment to the services offered in Edinburgh & The Lothians. If you have any additional questions, please email: louise.gilliland@cgl.org.ukor call the office on 0131 557 5273. An exciting opportunity has arisen for an enthusiastic Peer Volunteer Coordinator to join a team working across West Lothian within our new community recovery service. Change Grow Live provides a fully integrated recovery service across community based services and aims to provide high quality recovery asset based resource. Visible recovery is a key driver for the West Lothian service and this role underpins this ethos. The post holder will coordinate the identification, recruitment, training and management of Volunteers, Service User Reps and Peer Mentors and ensure that service user involvement is fully embedded into all areas of service development and delivery. The post holder will contribute to the development and delivery of a recovery-oriented service across West Lothian. This innovative role will also lead on our digital engagement offer by identifying opportunities for service users, families and significant others to communicate and receive brief interventions through forms of Social Media, Apps, Email, Skype/Face time and other forums. The successful candidate will have passion for and experience of working with people with substance misuse issues, the ability to manage and supervise peer mentors/volunteers, experience of developing and delivering training or group work programmes, good leadership skills and the flexibility to work unsocial hours as required. Candidates may be required to travel so a driving license and access to a vehicle is desirable. In return for hard work, professionalism, dedication, and enthusiasm, we will offer excellent terms and conditions, a comprehensive career development plan and the support you will need to really make a difference to service users’ lives.